A 92-year old Las Vegas medical doctor and his physician assistant were recently convicted on large scale distribution of oxycodone for illegal purposes. On Friday, March 24, Dr. Henri Wetselaar, and David A. Litwin, 58, were found guilty of conspiracy to distribute and distribution of oxycodone and other controlled substances. According to the indictment, Wetselaar was a Nevada physician practicing as a specialist in pain management and Litwin was alleged to be his medical assistant. Wetselaar and Litwin were found to have conspired with each other and local drug dealers to distribute the prescription drugs in and around Las Vegas. Wetselaar prescribed large amounts of highly addictive prescription drugs, including oxycodone, hydrocodone, Xanax and Soma, to persons for no legitimate medical purpose. Following a 10-week jury trial, Wetselaar and Litwin were found guilty of conspiracy to distribute controlled substances and distribution of controlled substances. In addition, Wetselaar was found guilty of money laundering and structuring of money transactions. Sentencing is scheduled for June 21, 2017, before U.S. District Judge Kent Dawson. At the time of sentencing, Wetselaar and Litwin each face a mandatory prison sentence of 20 years in prison and a $1,000,000 fine. 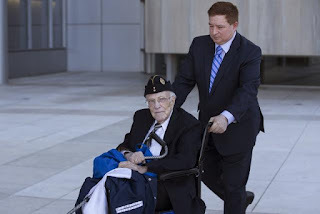 No Comment to " Elderly Las Vegas MD, Medical Assistant Convicted of Oxycodone Distribution Scheme "